Israel’s Ministry of Defense unveiled today the first prototype of the Eitan, a new 8×8 armored personnel carrier developed by the Ministry’s Tank Development Program Directorate (Mantak), as a possible successor for thousands of American-made M-113 Armored Personnel Carriers (APC) Israel has been operating since the 1970s. The new APC is said to be more protected, efficient and affordable than foreign off-the-shelf alternatives, and would be available at half the cost of the Israeli Namer Infantry Carrier Vehicle (ICV). The Israeli prototype is based on a proven automotive system, with an operationally proven powertrain that has been adopted by several armed forces in Europe. According to the head of Mantak, Brig. 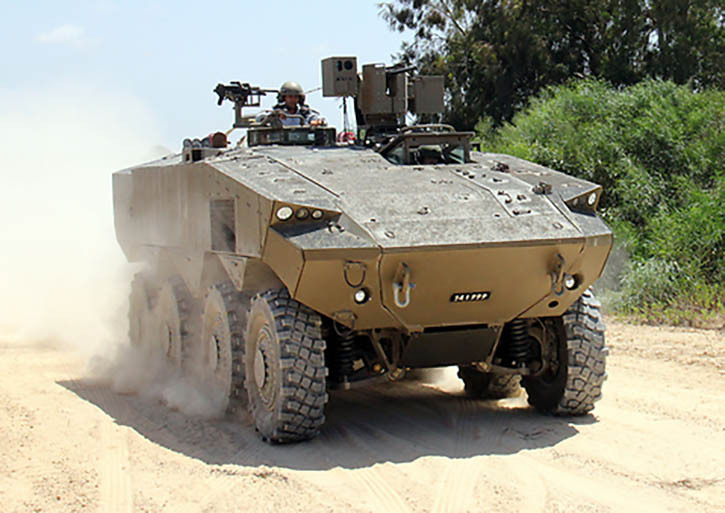 General Baruch Mazliah, using commercially available automotive components enabled the designers to develop an APC that will cost half as the tracked Namer, and less than similar wheeled APCs available in the world market. The hull was developed in the country, along with the weapon systems, survivability and protection systems used. According to Mazliah, the need for a wheeled armored vehicle such as Eitan evolved from lessons learned in recent combat operations in Gaza. The Eitan complements the Merkava and Namer, as it can transport infantry squads on roads, without relying on tank transporters. Eitan has a maximum road speed of +90 km/h (56 mp/h). Similar to Merkava and Namer, Eitan does not rely only on ballistic armor for protection but uses a combination of survivability systems for to enhance the survival of the crew, passengers, and the entire vehicle. Designed for a gross vehicle weight of up to 35 tons (77,000 pounds), Eitan provides sufficient base protection for common battlefield threats. 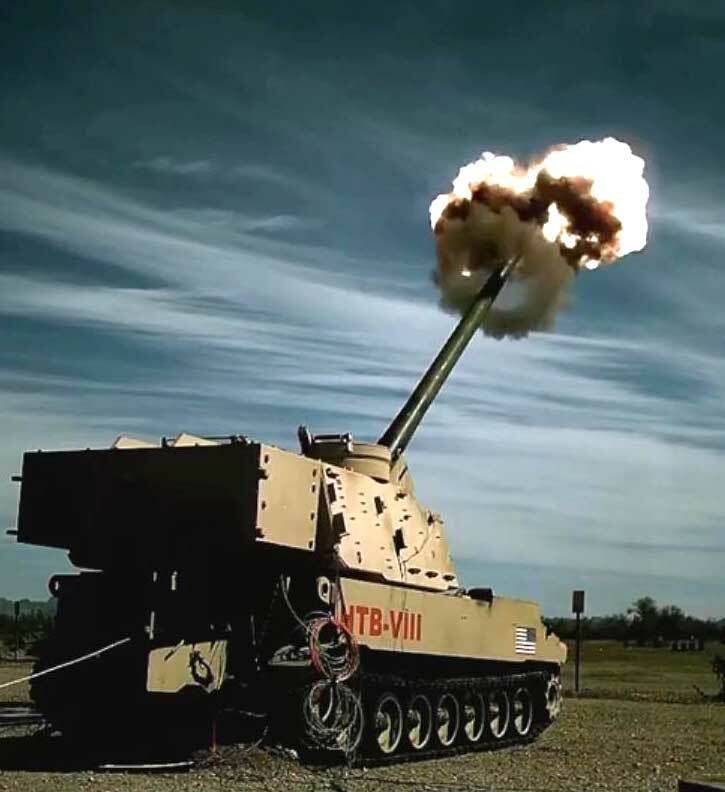 Using the Trophy Active Protection Systems (APS), the vehicle can effectively avoid high-level threats without proportionally increasing the weight of its armor. To protect the occupants from blast effects, of mines and IEDs, Eitan has been designed with protected, relatively high floor. The tyres are fitted with runflat inserts meaning they can continue to function even after suffering multiple hits. The passive protection provided by modular armor is applied to the vehicle’s front and sides, while equipment modules add to its security. 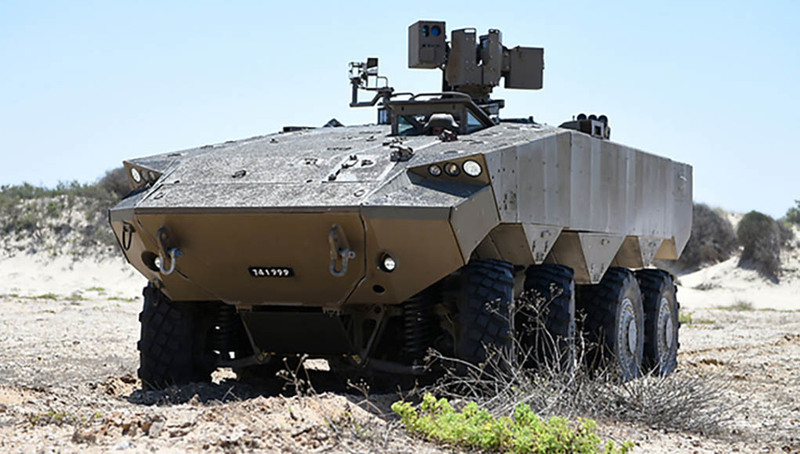 The vehicle will be initially produced at the Israel MOD AFV plant, at an annual production rate of several dozens of vehicles, as is the case with the Namer ICV. The vehicle is designed as a common, modular platform that can be configured into different variants by replacing hull modules. Variants typically include APC and command vehicles equipped with remotely operated .50 Cal machine gun, and weapon carriers, to be fitted with remotely operated turrets mounting 30/40mm automatic cannon. The turret will also have accommodation for several missile launchers. The prototype shows clean surfaces enabling relatively uninterrupted 360-degree coverage for the weapon station and APS. A crew of three – commander, gunner and driver operate the vehicle. Each of the crew members has an individual, role-optimized operation position, seat and access hatch. The vehicle is designed to carry a full squad of nine troops in its fighting compartment. Troops can access and egress via the rear ramp door. Eitan is different than other 8×8 APCs designed for NATO forces, in its suitability to the unique operational conditions of the Israeli forces. While most 8×8 APCs evolved from lighter platforms, the Israeli APC was designed from scratch for 30-35 tons, which is the upper limit of similar designs. All 8x8s are designed for similar roles – they are designed as modular, role configurable platforms, in a weight range of 18-30 tons, each carrying 8-11 troops. [ismember]While similar in appearance, the different vehicles differ significantly in the level of armor protection, cross-country mobility, and growth capacity. 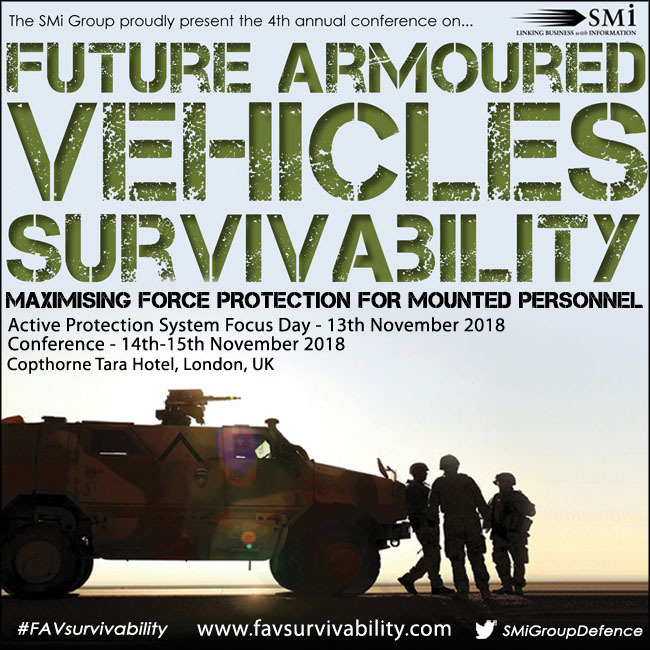 These are mainly due to the mandatory requirement for strategic mobility, air transportability, and, in particular countries – amphibious capability. These limitations require designers to compromise on the level of protection provided for the troops. For Israel, the strategic mobility consideration is the vehicle’s inherent ability to move on wheels across different theaters and within the theater. Therefore, the emphasize could be placed on the level of protection. As mentioned above, with the operational maturity of the Trophy APS, increased protection against shaped charge threats (such as RPG and guided missiles) could be achieved without significant weight increase. For many years Israel Defense Forces traditionally favored tracked over wheeled vehicles. The few exceptions where the Panhard AML-60 armored car, acquired rom France in the mid 1960s and semi-armored (open top) RBY assault vehicles, used for special missions. The IDF also uses up-armored HMMWVs on border patrols, but the core of its armored vehicles fleet is tracked, comprising Merkava and M-60 main battle tanks, Namer and Achzarit (T-55 based) and Puma (Centurion based) heavy APCs and the M-113. The Puma is being replaced by mission configured Namer while the M-113s will be replaced by the Eitan. In contrast, other military forces adopted the 6×6 and 8×8 configuration proven for its strategic and tactical mobility, off-road capability. 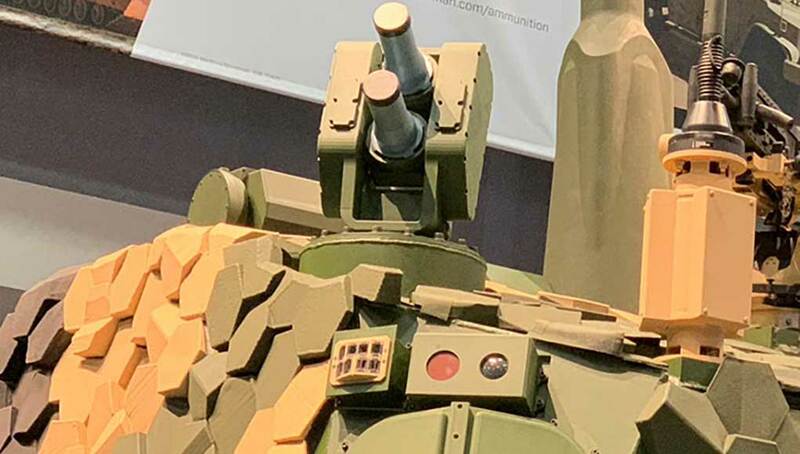 While previous versions suffered from limited capacity to support reasonable armor protection and a manned turret, the introduction of heavier 8×8 platforms and unmanned turrets enable such vehicles to carry sufficient armor, and mission load while remaining mobile and versatile.